The research, which produced two publications "Eco-Design for temporary installations" and "Exhibith Design Criteria and methods for environmental sustainability", was developed by Arch. Duccio Brunelli for the Design Degree, Faculty of Architecture in Florence, with Arch. Pietro Novelli of the Tuscany Region, Prof. Massimo Ruffilli and Prof. Roberto Bologna as scientific responsible for the Department of Technology of Architecture and Design in Florence. 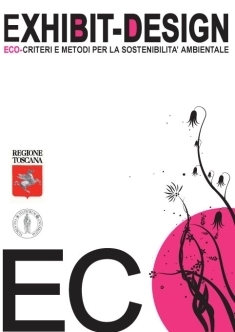 Adopted as Guidelines by the Region of Tuscany, it responds to the policies of the European Commission in the field of sustainable and responsible production for identifying life cycle approach to production the key to achieving the goals of sustainability. The research is actually the sole scientific reference system for eco-sustainability in the world spaces installations. This design approach is based on the conscious management of resources (materials and energy) at all installation design stages, from production to disposal. It enables the achievement of high environmental performance measurable and certifiable. The University of Florence, and specifically the Design Degree of the Faculty of Architecture, has undertaken the development of a research titled "Perspectives Florentine - Sustainable Restyling of façades" in order to improve existing buildings appearance belonging to first suburbs of Florence. Technical targets, such as the energy consumption reduction and buildings carbon footprint, are associated with ECO DESIGN elements. The result is a research which formal typological language is expressed through sustainable materials. This yields an outdoor benefits strong linked to city’s image and at the same time indoors benefits in the key of improving the health of citizens. The research, aderived thanks to agreement with numerous Official Partners which Anci, Reeds, Foundation “Angeli del Bello”, Florentine Agency for Energy, Energy Forum Onlus, boasts the recent accession of two exceptional Technology Partners (DiaSen Srl and Rockwool Italy Spa). With them it aims to create a sample application of the final results of the research. 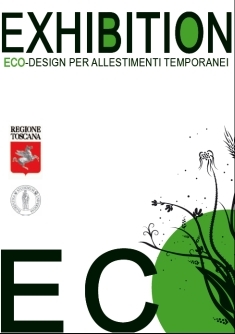 BBA-Architetti is a professional and scientific partner of SEED - Synergy for Eco Event Design. SEED is an aggregation of 16 subjects including companies, professionals and research centers, which has obtained the official recognition of the Lombardy Region as a technology cluster for research and development of environmental sustainability applied to the field of events. is a professional and scientific partner of SEED - Synergy for Eco Event Design. SEED is an aggregation of 16 subjects including companies, professionals and research centers, which has obtained the official recognition of the Lombardy Region as a technology cluster for research and development of environmental sustainability applied to the field of events Against to substantial lack of shared disciplinary capable to guide to a unique implementation and measurement method for sustainability of events, aggregation is working for the definition of a replicable model of planning and management. It will include control and measurement and quantitative tools, aimed to ensure adequate technical and environmental performances of the product-event. Main goal is to define control parameters able to measure the results in relation to different "processes" and "sub- processes" in the chain of the event. This according to evaluation areas such as selection and use of raw materials, energy reduction, environmental quality of indoor and outdoor spaces, impacts of transport, etc.. The proposed SEED is therefore not thought of as yet another list of "good intentions" in the form of the guide or checklist, but as a repeatable and scalable method (and therefore applicable to events of very different types and sizes) of planned management, measurable and observable in all its phases. A method strongly oriented towards the acquisition of skills by the organizer / developer and the gradual improvement of his performances, even from an economic (optimization and cost transparency), aesthetic (the value of design applied to sustainability) and ethical-social (in terms of accessibility and usability from the users as well as development of human capital and resources of the territory). The sector of design process development is particularly experimental for the use of compositional forms, materials, and media communication. Specifically, the synthesis that best represents this sector is "Exhibit Design - Architecture as a marketing tool." 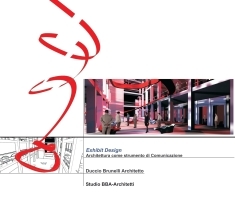 From this phrase was inspired a research ended with the book Exhibit Design - Architecture as a communication tool, Edited by Alinea, 2006, by Duccio Brunelli and BBA-Architetti associati. .............. architecture and design as the tool to create communication boosts, capable of provoking suggestions and creative evocations to the user. The research developed by Arch. 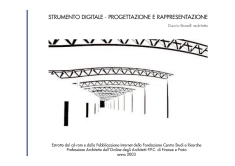 Duccio Brunelli, carried out in 2003-2004 for the Foundation for Studies and Research Center Architect trade and the Order of Architects of the Province of Florence, tried to understand how the digital instrument used for the architecture could be an important design tool and not just a simple method of representation.